Mrs S Thomas, Assistant Headteacher, is the member of staff in charge of school transport matters. Pupils who live in the school’s designated catchment area and live more than three miles from school can obtain a bus pass which entitles them to free transport to and from school. Depending on where they live, this may be by means of dedicated “contract” buses which are solely for the use of Prince Henry’s students, or a pass to travel on a public “service” bus. Full details on eligibility and/or costs for pre-16 and post-16 pupils are given on the Worcestershire County Council website (see link in blue box). Please note that it is highly unlikely that transport will be provided for parents who have chosen to send their children to Prince Henry’s, but who live outside the catchment area. Applications must be completed online. Assistance with your application can be provided by Worcestershire County Council on 01905 765765. If a bus pass is lost for a contract bus, a replacement is available on payment of £10 to the Education Office. (If a pass is stolen, a free pass can usually be obtained if you report the incident to the police and provide the County Council with a valid crime reference number.) If a pass becomes unreadable, a replacement will be required. Replacement tickets are available on commercial bus services and rail, however these prices may vary. Please call 01905 765765 for details on how to obtain a replacement ticket. Please note there is normally a limit of one replacement ticket per term. Sixth Formers need to apply online. Currently Worcestershire County Council charge £192 per term (annual ticket £547) in line with Sixth Form education providers across the County. (This sum is liable to change annually). Parents are advised that they may wish to consult with local operators as some journeys on service buses may be available at a cheaper rate. All pupils should carry their bus passes, as checks may be made at any time and pupils without them may be refused transport. Travel to school by bicycle is encouraged but bicycles must be left only in the designated areas and all non-fixed, detachable accessories should be removed for security reasons. School cannot accept responsibility for the loss of, or damage to, bicycles. Pupils are strongly advised to wear a properly fitting safety helmet and cyclists to school are advised to wear a luminous safety armband. Pupils must have lights on their bicycles if they intend to cycle in the dark or twilight. Students qualified to drive and wishing to bring a car or motorcycle to the School site must have a registration form signed by their parents/guardians. This form is then kept by the Head of Sixth Form. Sixth Formers who do bring a car to school must exercise extreme caution when driving on or near the school site and must observe speed limits and direction signs. They must also use the official car parking spaces available on the school site and not park in the local streets. There is restricted access to the school and at peak times there are at least 15 school buses dropping children off in the morning and picking them up again in the evening. Parents using any part of Victoria Avenue or the other nearby side roads to drop children off in the morning and to pick them up in the evening cause serious problems for the bus drivers and for the school. 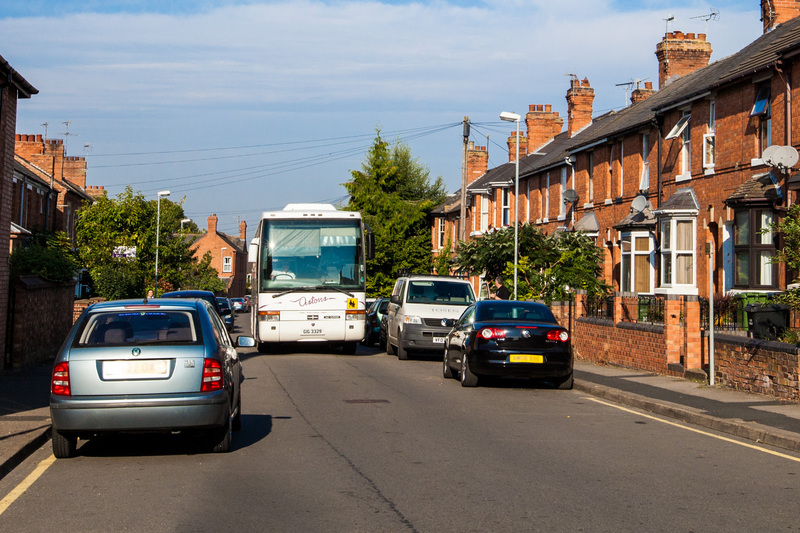 On occasions the congestion caused by parents parking in the street or the school car park poses a major problem with traffic jammed and unable to move all the way back to the main road. Dropping children off before 8.50 am and picking them up after 4pm is not a problem, but otherwise would parents please arrange an alternative pick up/drop off point well away from Victoria Avenue and the surrounding streets. Even parking at the end of Victoria Avenue causes the bus drivers problems as they have found difficulty turning into/out of the road with so many cars parked there. Sometimes the buses arrive late at school solely because of the difficulty in negotiating their way through parents’ cars! Please do try and help us. If your child has an obvious medical problem which necessitates him/her being dropped off/picked up at school please contact Mrs Thomas to see if a special arrangement can be put in place.